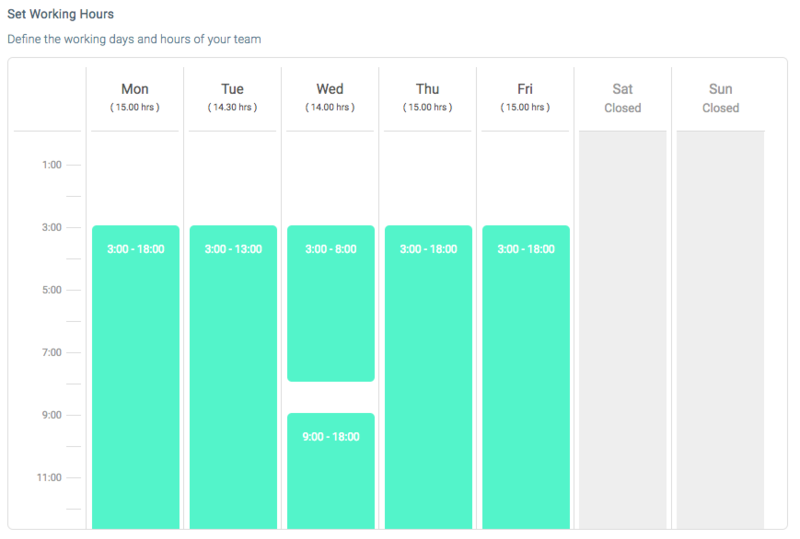 Setting Business Hours for a Shared Mailbox lets you define the operating hours for that mailbox. Defining when your team is servicing the mailbox allows you to track SLA only during those hours. Business Hour Template comprises of the Time Zone, Business Hours and Holidays. Templates let you manage the different Business Hour configurations applicable across your organisation. If you have multiple Shared Mailboxes operating with the same business hours, you can assign the same template to all of them. 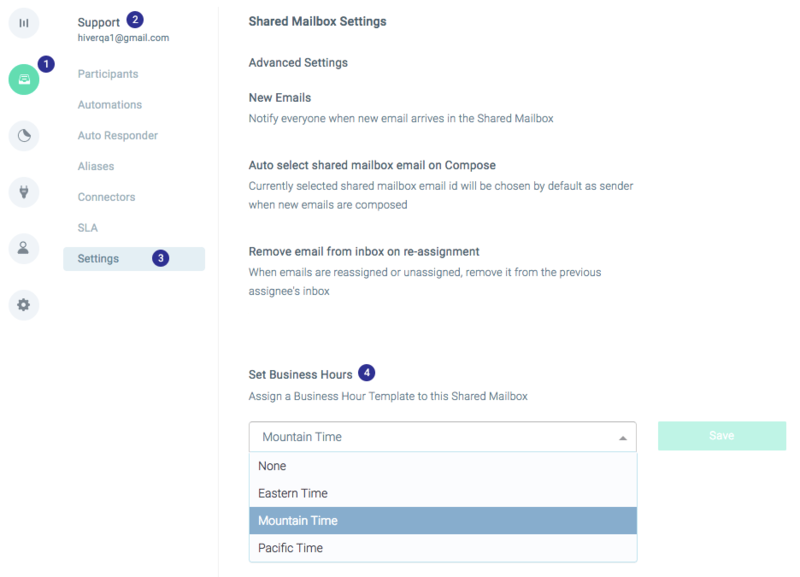 If you have multiple Shared Mailboxes operating during different times, you can maintain multiple Business Hour Templates. Click on the green Gear icon on your Gmail and go to Admin Panel. To remove hours from a day, click the X in the upper-right corner of the time block. This will mark the day as closed. To add hours to a closed day, click anywhere on that column. A time block will appear. Click and drag. Navigate and click on any date to mark it as a holiday. List of dates marked as Holiday will be visible besides the calendar. 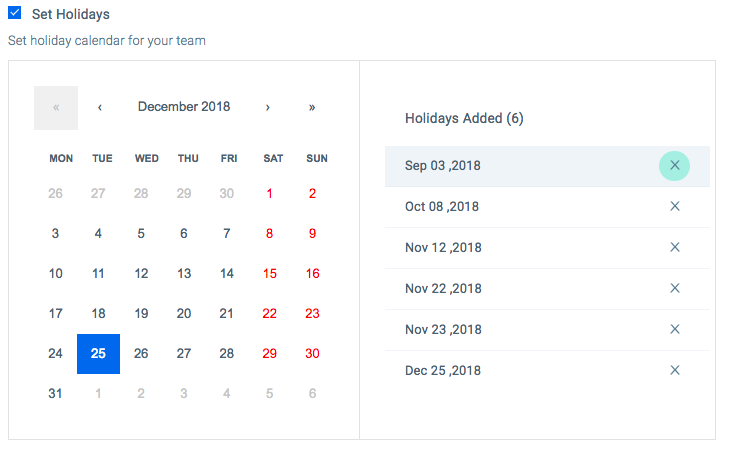 Click the X on any date in the list to remove it from the Holiday list. Go to Shared Mailbox list and select the Shared Mailbox for which you want to assign business hours. Click on the dropdown and select the Business Hour Template you would like to apply to that Shared Mailbox.